Inflation has eased and volume growth is back after three years. 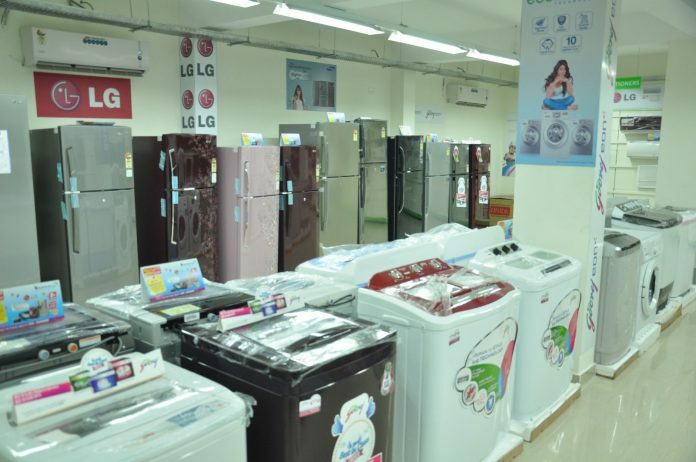 Eventually, consumer durable manufacturers such as Kenstar,Voltas, Godrej Appliances and Whirlpool have geared up to expand their portfolio. To debut with their expansion mode, these makers are all set to enter into new categories in the consumer durable market segment as this move will make them multi-product manufacturers. Whirlpool is preparing to re-enter into segments such as front loading washing machines, multiple door refrigerators and air-conditioners. On the other hand, Godrej Appliances is geared up to enhance its presence in air-conditioners with an aim to occupy a place in the top three positions of the segment. Kenstar entered the air-conditioner segment recently andVoltasis in plants to expand into related genres such as air-coolers. This expansion and re-entry into different consumer durable segments has come after the sales volume of the industry has grown by over 15 percent in this fiscal so far. In comparison, the sales volume of the segment in the last three years was pretty flat without any growth. Regarding this move, Shantanu Dasgupta, Vice President for Corporate Affairs and Strategy, WhirlpoolIndiaclaimed that macro-economic factors and the ease of inflation are the prime reasons for the growth of the segment in the past three quarters of the current fiscal year. This growth is claimed to have encouraged the firm to get back into the expansion process. The executive added that the firm was determined to come up with entry level offerings such as semi-automatic washing machines and direct-cool refrigerator. He claimed that the time to bridge the gaps in the industry has arrived. Ever since the rise of inflation, Whirlpool and several other firms involved in consume durable manufacturing were on a slow mode in order to protect profit and to focus on their core genres. Notably, Whirlpool generated 90 percent of its sales from single door refrigerators and washing machines, but their target is to increase the revenue streams further. IPL – A Heaven for Telecom Cos.